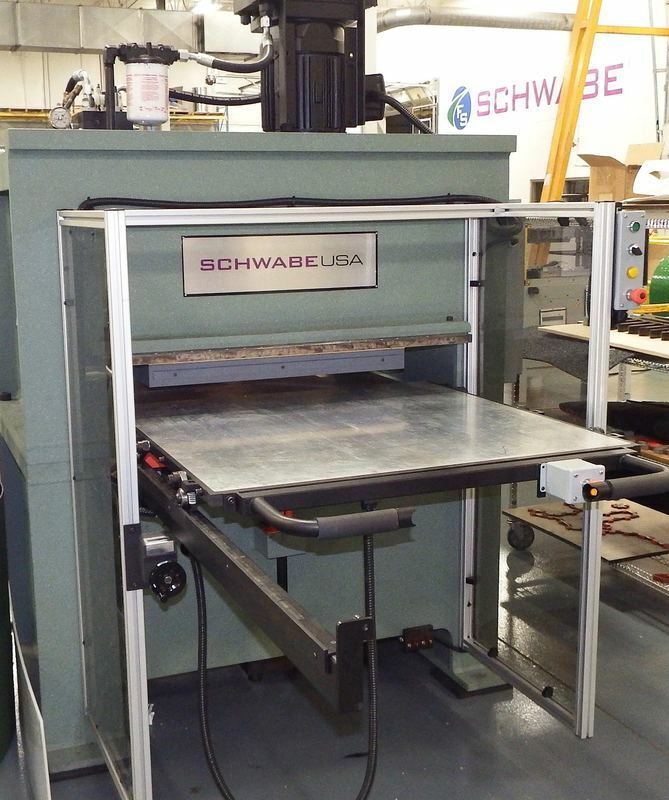 SCHWABE USA Model DG and DGHD can be customized to meet your individual production requirements including various types of Feed Systems whether you are die cutting Narrow Roll or Sheet Goods. With electric heated platens option is able to die cut & kiss-cut crease heat seal applications ​as well as molding & trimming, laminating and embossing. Features include variable and independent temperature control for top and bottom heated platens, variable dwell time and variable tonnage control if needed. Additionally, the heated platens which are also made in the USA can be located if your process requires on both the head of the press as well as the bed of the press. The electric heated platens with multiple heating zones provide uniform heat distribution and precise temperature control across the entire platen surface. Temperature accuracy is monitored & controlled by separate control panel and if required can be incorporated into the Allen Bradley PLC unit for ease of operation. Standard temperatures are up to 400 degrees F. The heated platens include approximately 1” think of insulation protecting the steel weldment head and if applicable, steel weldment bed of the press. 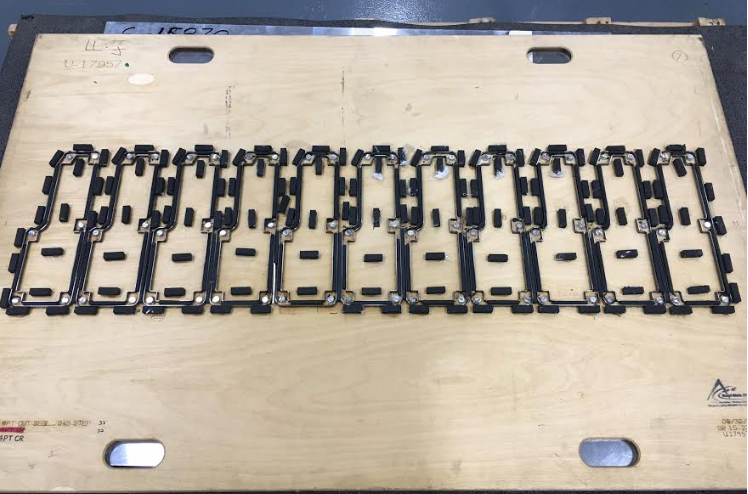 Tools can be mounted with either fixed position die rails or mechanically adjustable die rails enabling greater flexibility when various size die boards are required. 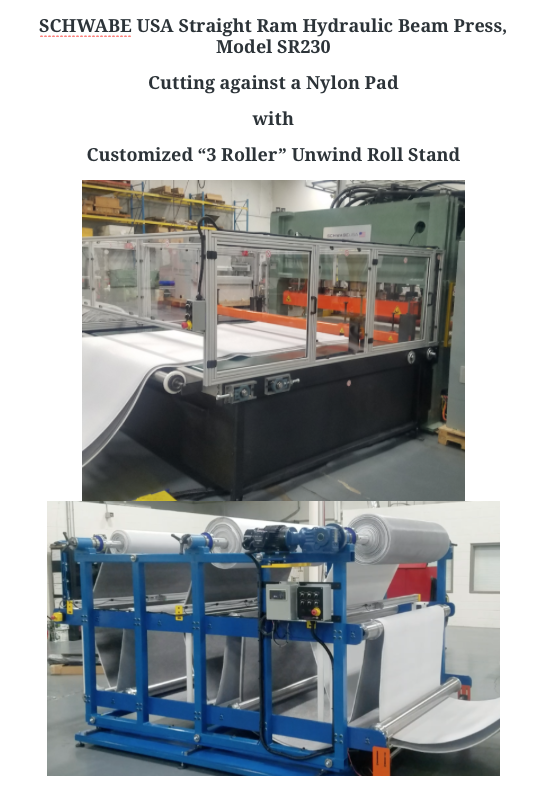 Ideal materials and applications requiring a heated platen press to die cut, heat seal would include, but not limited to, various textiles, fibers, non-woven materials, and various foam materials. The machine is used in work cell manufacturing in the Auto Interior industry.